[Brewers] owner Mark Attanasio bought the teamfor $223 million in 2004, and the current value, according to Forbes, is now $1.175 billion. That’s a five-fold growth in value in 15 years. That increase has helped the team, which ranked last in value before Miller Park was built, jump to 25th in value, ahead of six franchises including those in bigger markets like Miami and Cleveland. I’m sure you’ve already spotted the problem here: Sure, both the Bucks and Brewers are worth a lot more since getting new publicly subsidized homes, but how much of that is due to the buildings, and how much just to the fact that MLB and the NBA are rolling in money from things like cable TV and streaming video revenue? Those are about as close to identical charts as you’re going to see. And while they don’t prove that the new Bucks arena has been worthless to billionaire owners Marc Lasry and Wes Edens, it’s also pretty good evidence that most of their current basketball riches would have been achieved even if the team had kept playing at the Bradley Center. This looks a bit more promising for the Brewers owners (now not-quite-billionaire Mark Attanasio, then a fetid pile of hypocrisy in an ill-fitting suit), though it’s worth noting that the Royals owners did even better playing in a stadium that opened in 1973, though it did get a bunch of taxpayer-financed upgrades in 2009. (It’s also worth noting that the Orioles, Rockies, and Indians were in the midst of new-stadium honeymoon periods in 2000, so probably in a bit of a value bubble.) Mostly it’s an indication that the entirety of MLB is rolling in dough, and while having a new taxpayer-funded stadium can certainly put the cherry on top, it’s not going to make the difference between obscene wealth and merely PG-rated wealth. So, wait, does this mean that new sports venues aren’t such a scam after all, because they’re not enriching greedy sports team owners? No, actually, it makes them worse: Greedy sports team owners, it turns out, are mostly just getting a slim trickle of new money thanks to the firehose of public spending — which makes sense, since the construction costs of new stadiums and arenas soak up most of that cash. 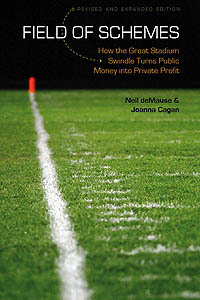 Sports subsidies are not just a massive transfer of cash from public to private; they’re a massive taxpayer expense where much of the benefit just goes to construction companies, while the team owners who pulled off the schemes just collect a few dimes on the public dollar. 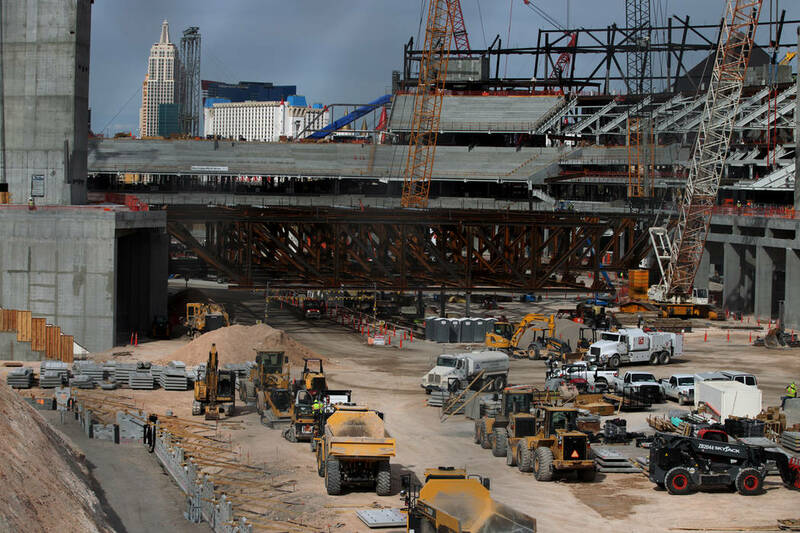 It would be far more efficient, all things considered, for local governments to just pay team owners money to play in their cities, and skip the whole stadium-building part of it — but then, we’re seeing that now too, so I guess why limit yourself to one grift when you can run two? After Pittsburgh Penguins owner Mario Lemieux threatened to move to Kansas City if he didn’t get a new arena, then got a new arena, he admitted that it was all just a bluff to shake down the city for public money. Which may not have been a great look, but it was belatedly honest, and had the benefit of making him look less like a carpetbagger (if more like an extortionist). This is, frankly, totally brilliant, in an evil genius sort of way. The NBA would never forcibly seize a franchise without its owners’ consent, so rest assured that this whole buyback clause was arrived at with the full cooperation (if not at the behest of) Edens, Lasry, and Kohl. Now, though, Edens and Lasry are in a perfect position to play Good Cop: We want to stay in Milwaukee, but that mean old NBA will take our team and move it somewhere else if we don’t get a new arena, so you’d better make that happen or else Adam Silver will nail your head to the floor. To my knowledge, no Wisconsin reporters have ever dug into whether the NBA move-threat clause was a conspiracy with the Bucks owners or not, which is a shame. It’s too late for Wisconsin residents to get their $505 million back, but it’s not too late to stop Edens and Lasry for shifting the blame on why it happened. Yep, that’s what the leader of North America’s most self-consciously woke sports league had to say about an arena approval process that involved spending around half a billion dollars in public money over the objection of pretty much everybody in the city by employing the promise of a magic basketball while hoping nobody would notice that the otherwise virulently anti-tax governor’s fundraising chair was a co-owner of the team, then giving additional subsidies to a company that then turned around and used the cash to buy naming rights for the arena, money that will all go to the Bucks owners, not the public. But it all ended with government building an arena for Adam Silver’s business partners with somebody else’s money, and that’s what democracy is all about, right? People don’t understand why a company would need taxpayer subsidies for its headquarters when it has funds available to buy naming rights, Erpenbach said. “Maybe the state can sell naming rights on that new (Fiserv) headquarters and get some of the money back,” Erpenbach said. As with Citicorp getting naming rights to the New York Mets‘ stadium right after getting bailed out by the federal government, there’s no direct relationship here between the naming rights deal and the venue subsidies — it’s just a terrible look for a company to demand $12.5 million in state funds and then turn around and use it to buy ad signage on a building that’s already getting $450 million in public money, especially when the Bucks owners get all the proceeds from the naming-rights sale on the publicly owned building. It’s an even worse look that Fiserv got its subsidy after turning a $1.2 billion profit last year — but then, nobody’s claiming that companies are getting these deals because they need the cash; it’s just extortion exacted by threatening to leave the state. Damn you, Leonard Yaseen. Milwaukee Bucks president Peter Feigin thinks his new publicly funded arena will help fight segregation because it’ll have a public plaza. The Chicago Tribune notes that the Bucks owners once released a strongly worded statement of support for one of their players after he was tased by Milwaukee police, so … nope, I don’t get the connection either, unless this reporter was assigned to cover Feigin and couldn’t find much else to say about his bizarro statement, so just googled “Milwaukee and race and basketball” and dumped the results into a Word file. The Sacramento Kings owners are going to use computers at their arena to mine cryptocurrency for charity, which mostly serves as an excuse for the team to issue a press release mentioning themselves in the same sentence as blockchain, because we know that’s a thing. Too bad the earth is going to burn as a result, but everything’s a tradeoff, right? Ybor City, where the Tampa Bay Rays want to build their new stadium (price and funding still TBD), has been tabbed as a federal “economic opportunity zone,” meaning developers can use it as a short-term tax shelter for profits that are reinvested into the area. The program is way too complicated for me to calculate at the moment just how much U.S. taxpayers would end up paying toward a Rays stadium, but suffice to say it’s one more piece of the funding puzzle that team owner Stuart Sternberg doesn’t have to worry about himself. Speaking of the Rays, they’ve announced they’ll release new renderings of their stadium plans next Tuesday, which I guess makes this announcement itself vaporvaportecture? The Atlanta Falcons pedestrian bridge that will now cost Atlanta residents $23 million is going to glow! And who can put a price on that, really? Since it was a slow stadium news week, here’s a bonus article on how Nevada giving $1.4 billion to Tesla to open a battery factory there is looking to be a disaster, with the state ending up losing its entire budget surplus while new workers attracted to the area have driven up rents and increased local government’s police, fire, and schools costs, leaving residents with a higher cost of living and fewer services. One unemployed local who was forced to move into a motel room listed for the Guardian things she now considered unaffordable luxuries: “Ice cream. Bacon. A movie ticket.” It’s a fun weekend beach read!